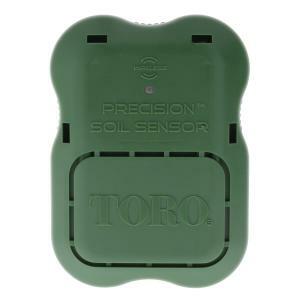 The Toro EVO-AG Add-On Precision Soil Sensor continuously measures moisture levels in the soil and determines when to allow the irrigation controller to water, maximizing the efficiency of your irrigation system. Any time the moisture level exceeds the user-defined optimum level for the plant material, the controller is prevented from running any irrigation programs. This unit works in conjunction with the Toro Evolution AG Controller with installed Smart Connect receiver (both sold separately). Up to three soil sensors can be used (one per schedule) to monitor the moisture level in the soil and prevent over or under watering.